What is the secret to weight loss? It isn’t difficult. In the two parts of this article you will learn the important concept behind all diets and how to apply it to make your weight loss happen. Every year tons of diet books hit the shelves, all having the ultimate answer and magic formula for making pounds disappear. But it’s all window-dressing for a very simple secret: To lose weight, you need to burn more calories than you eat. As long as a diet follows this principle, it will work. And all that work, do follow it. A unit of measurement: one calorie is the energy needed to raise the temperature of 1 gram of water by 1°C (1.8°F). Food containers normally state calories as “kcal,” meaning “kilocalories.” “Kilo” stands for “1000” and one kcal therefore is actually 1,000 calories. But people often use the term “calorie” and “kcals” interchangeably. Don’t be confused by this; if you so far thought of kcals as calories, you already got it. We usually associate calories with food, but you can measure the energy of anything with them. One gallon of gasoline, for example, contains 31,000,000 calories (or 31,000 kcal). It could therefore heat 31,000 kg of water by 1°C (1,000 g = 1 kg). 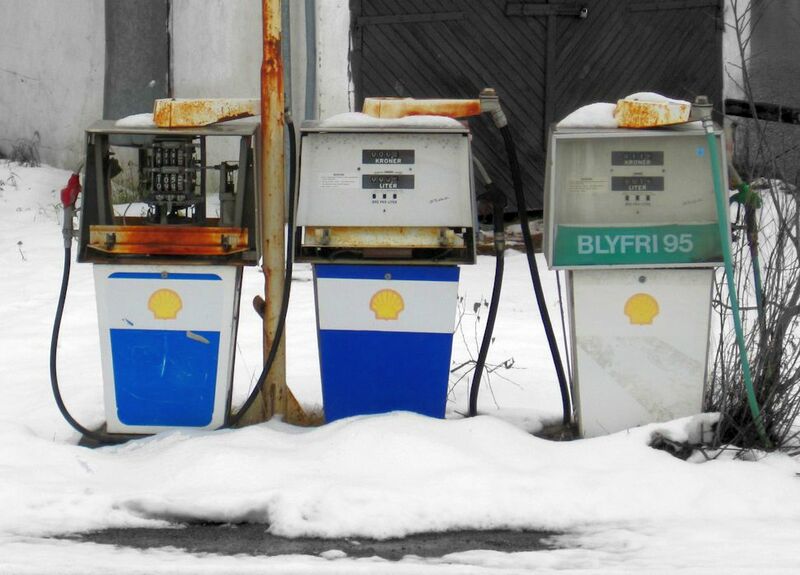 Gasoline leads us over to your body and calories: just like a car, your body runs on fuel. For your car that fuel is calories in form of gasoline, for your body the fuel is calories in form of food. The difference between a car and the human body is that when you turn off the car, it ceases using energy. But our bodies do exactly that. Because even if you lie in bed all day and sleep, some processes have to go on: your heart has to beat, your skin renews, your hair grows and you breathe. All this costs energy and the energy burnt by these basic, always-on tasks is called basal metabolic rate. “Basal” stands for “minimum” and “metabolic” is a term used to describe the processes that occur within living organisms. You can translate “basal metabolic rate” as minimum processes needed to run to stay alive. Of course we don’t lie in bed all day and sleep. That would make life rather dull. We do stuff: wash that car, go shopping, work out, clean the house etc. All these things burn energy in addition to what is burned by the BMR. The total energy yo use per day therefore is what you need for the BMR and to do all the things you do. Together they make up the “TDEE,” the total daily energy expenditure. If you eat more than your TDEE, you give your body more energy than it needs. Whatever you eat it converts to fat and stores it as reserve for bad times. A mechanism very useful for our prehistoric ancestors, who didn’t know when the next mammoth might be coming around. To once more go back to cars, this reserve is a bit like your car’s gas tank. The problem with our “gas tank” is that it has no fixed size. By building more and more fat it can increase almost endlessly, as many of us to our dismay already experienced. But if you give your body less energy than it needs for the TDEE, it will have to rely on the reserves to make up for the rest and the reserves (and you) will become smaller. Take a bit of time to wrap your head around these. In part two of this article we calculate your BMR and TDEE and look at how you practically use them to lose weight. Pictures courtesy of “davidd” and Jon Olav Eikenes. Much needed article. Great job! It is absolutely correct to say that when a person gains weight he/she’s burning less calories than consuming, but it isn’t really the reason why someone gains the weight. When we consume the worst kind of carbs, the way our bodies simply metabolize them is by converting a good chunk of it’s calories to fat. Your body is only going to find the calories that weren’t stored as fat as easily usable, so basically you’ll have much less energy to be used than what you just consumed. The result is that you won’t feel enegetic (after a possible sugar rush) and you are soon going to be hungry again. Then you think about why you’re gaining weight, and look at your avarage day. You feel lazy all the time and you eat all the time (because your body stores the energy rather than spends it), you burn less than you consume, but it’s not what you chose to do, it’s because your food choices force your body to behave like this. “Calories in > calories out” is true, but it’s not the cause. The cause is eating foods that make your body store fat. The low-carbers would now say that we should avoid all carbs. I think though that we need to choose between good and bad carbs. The Okinawans aren’t getting fat with their rice because they eat little sugar. Also as active people, carbs are good for fast fuel. I also don’t think limiting vitamin and mineral rich tubers for their carb content is wise. This is a interested topic and a good article and ive tried following this because as you know im trying to lower my body fat percentage so all i have to do is consume less than my TDEE which is 2459 n my BMR is rougly 1587 so i just have to schedule a special healthy type of diet but all i usually eat is rice or some other form of carbs and was wondering if to much carbs are bad for you?? What counts is if you consume more calories than you burn. In that sense, carbohydrates are neither “good” or “bad”. Okay the comments got me to wondering. Why is it that things like corn, potatoes, and pastas considered to be bad carbs? I went to a dietician who reccommended not eating say a potato and corn for dinner as they are both starches. I have heard so many different things on what to eat, what carbs to eat, even how many carbs a day to eat that it is overwhelming. Thanks in advance. Basically, all carbs are broken down into sugar in the body. It doesn’t matter if it’s a potato or ice-cream, your body does the same thing with it. The exception is fructose (fruit sugar), which the body handles differently, although it can still generate body fat. I think the question of what and how much is still up in the air, and probably differs from person to person. The theory I like best is that we mess up our metabolisms with years of eating sugar, at which point we become hyper-sensitive to ANY carbs, from “good” sources or not. If we haven’t had a diet high in sugar, these vegetable and grain carbs don’t affect us in the same way. But this is just an idea as far as I know, not yet proven or disproven. I’m afraid I’m living proof that calories in/out just isn’t correct. Up to six weeks ago I believed it too. I religiously logged everything I ate and watched my weightloss slow to a crawl even as I got down to 1300 kcal per day. I switched to low carb. I kept weighing my food and logging it, and found it really hard to keep my calories under 1500 per day. I was eating more calories, and my weightloss sped up again. I have cut out, for the time being, wheat, all other grains, sugar, fruit except berries, potatoes and starchy veg, and rice. I stress that until 6 weeks ago I followed calories in-calories out, went jogging every other day, swam and didn’t eat fat. I’m just out of my “lazy” phase. I have a ton of energy now. Last night I cranked up the stereo and jumped around the house, it was great! Today I went jogging again for the first time in months, and it felt like walking on air. Effortless. I’m afraid there’s something in this low-carb diet thing. The studies are starting to show it, and there’s more and more personal anecdotal evidence of it. evilcyber, Im really happy about ur tips for weight loss, but now I think that 4-5 kgs are the line from my stomach and abs plz tell me some tips ( like foods, workout and more )… whit all respect for u, Courage. Heah Courage, if it all sits around your stomach area, all you can do is lose a bit more weight and hope it will go away there. Because you can’t target from what area your body loses the fat. 1.what food I need to eat for faster burning the fat( I heard tomatoes,eggs,milk,watermelon,apples,celry,oranges,strawberries) and will that work? 2.I think that I know the right workout for 6pack abs, I will send u link on fb for more details. Hey Vince, some people call that “starvation mode” but it doesn’t exist in that sense. As long as you are in deficit, your body will burn fat until there is no fat left. Thanks for explaining the meaning of TDEE. Although I control the calorie intake, my weight is still the same. TDEE isn’t high enough. Can you recommend some simple exercises for me? I had been overweight for a long time. I reduced weight over 1 year slowly (I eat nicely but I do lots of walking/limited weight training) and also built strong muscles in my arms. I do could do 5-7 pull pushups starting from 0. Anything you could suggest ? Sorry to hear that, Majid! Try to limit your calories and ask your doctor what forms of exercise are ok for you. Do you have any personal thoughts on overcoming appetite? Do you think my plan will be successful?